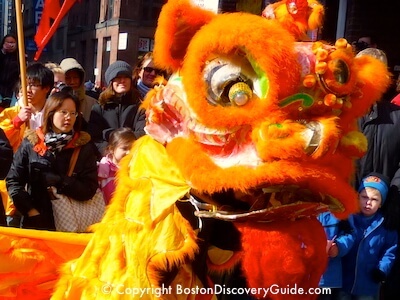 Boston's Chinatown has dozens, or more likely hundreds, of restaurants ranging from banquet-sized palaces offering novel-length menus and dim sum on steamer carts to tiny hole-in-the-wall places serving just a few options. 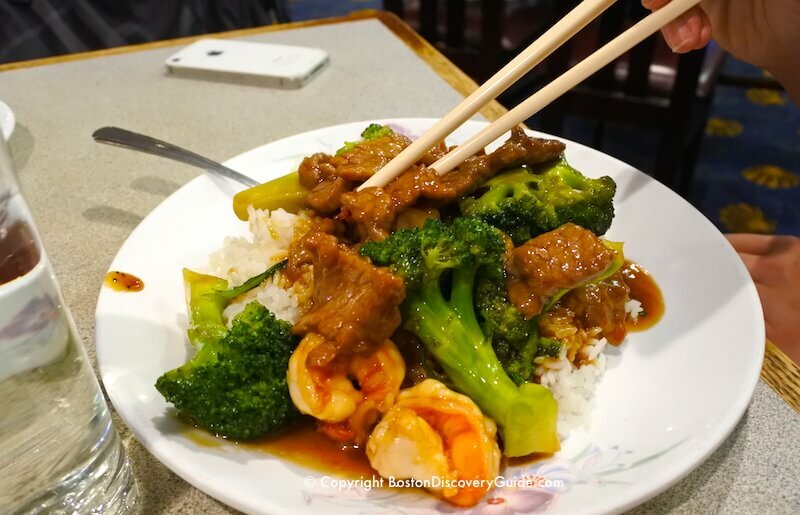 Although Chinese specialties dominate, you'll find plenty of spots offering Vietnamese pho, Japanese sushi, Mongolian hot pots, Taiwanese soup dumplings, Korean bulgoki, Malaysian noodles - and various cuisine combinations. 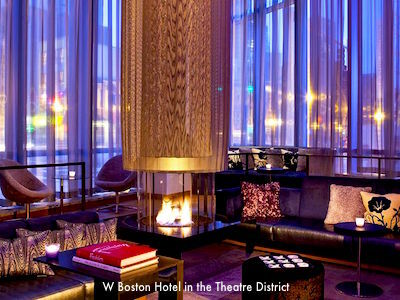 So where should you dine, especially if you're a visitor to Boston and not familiar with the maze of mostly narrow streets of this surprisingly large and somewhat sprawling neighborhood? You could wander around until you find a place that looks appealing . . . except that you'd miss some great possibilities, because some of the most unassuming places serve up the best food. 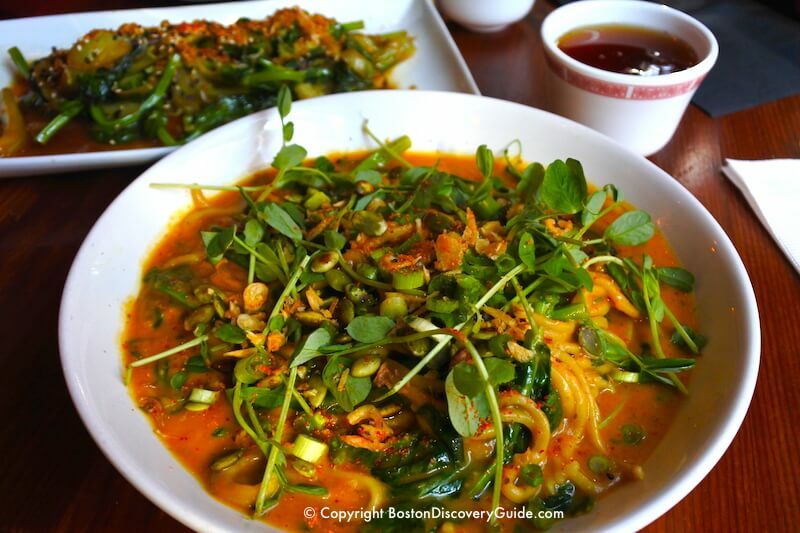 To make sure you get the most from your Chinatown visit, start with Boston Discovery Guide's recommendations for five excellent restaurants ranging from contemporary to traditional where you'll enjoy the food, the ambiance, and have a memorable meal. Q Restaurant is one of Chinatown's newest and trendiest spots, drawing enthusiastic crowds throughout most of the day and night, with occasional lines snaking down the sidewalk outside the door. Q offers three rather different menus, each with extensive selections: Mongolian-style hot pot, sushi/makimono/sushimi, and Chinese dishes ranging from traditional to innovative. There's a full-service bar - and also a large selection of bubble tea. 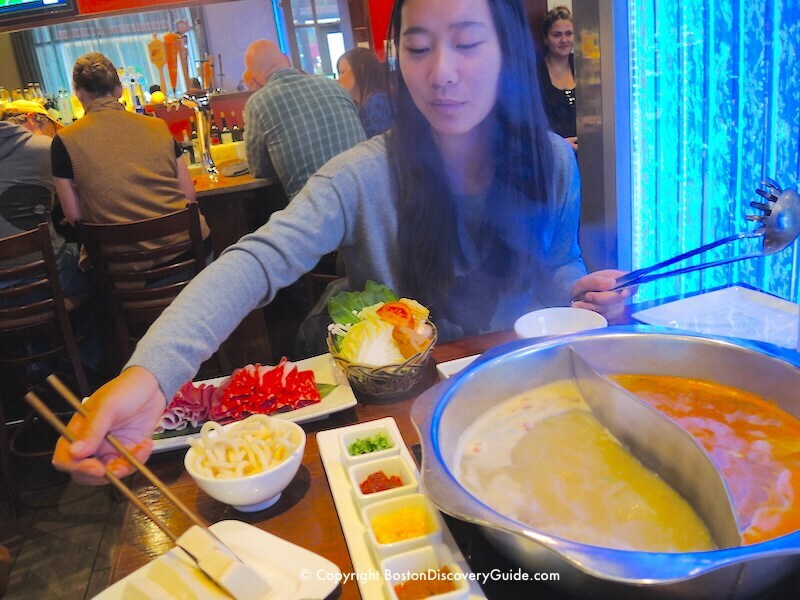 If you're dining here for the first time, definitely try the hot pot - very tasty, plus you'll have a lot of fun cooking your meal at the table. Your first decision is the delicious broth prepared from long-simmered bones - you'll find more than a dozen flavor options offering various degrees of spiciness/heat. Small bowls of condiments arrive with the broth so that you can punch up the flavor complexity even more. Then you choose the types of meats, seafood, tofu, veggies, and noodles that you want to add to the broth. You can opt for a pre-set combination - or customize by ordering from almost 100 á la carte items. Everything is fresh, and top quality. 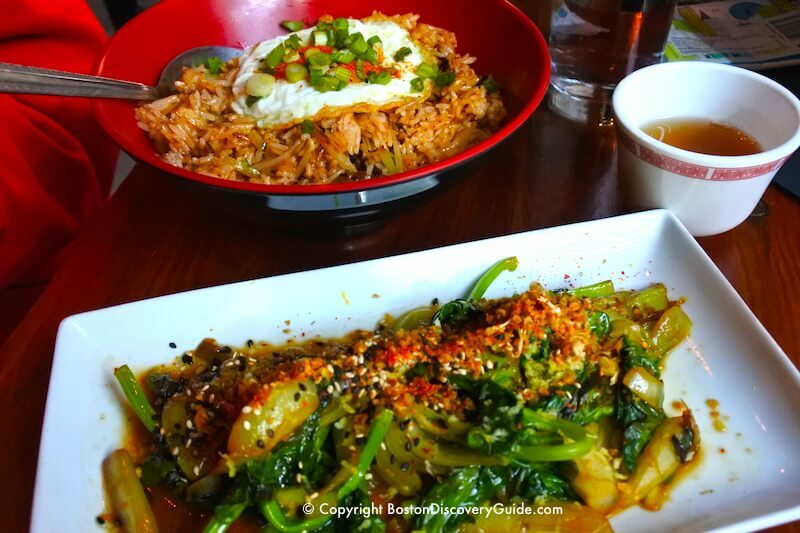 The second you step through the door at Shojo, you'll realize it's like no other Chinatown restaurant in Boston. With a huge manga mural covering one wall, kung fu movies on the big screen over the bar (which offers an extensive list of sake, soju, shochu, craft beers, and Chinatown's most creative cocktails), a hip-hop/rap soundtrack, and congenial seating, Shojo practically screams "fun"! But as soon as the seriously good food arrives, everything else fades into the background. You'll find flavors and influences from across Asia, especially Japan, Korea, Thailand, and throughout China - and possibly the most innovative cuisine in Chinatown. Some dishes such as the kimchi fried rice with a fried egg on top are riffs on traditional Asian favorites, while others - the shepard's pie made with 5-spice beef and mashed taro, and the crispy fish and chips taco - are more like Asian versions of Western cuisine. You can buy delicious pork-stuffed bao at almost every bakery in Chinatown - but the version here made with suckling pig and a smoky BBQ sauce with plenty of kimchi and jalapeño for heat is in a class of its own. You'll see only about 15 dishes on the dinner menu, and even fewer for lunch (although ramen is offered only at lunch) - but there is plenty to love here. 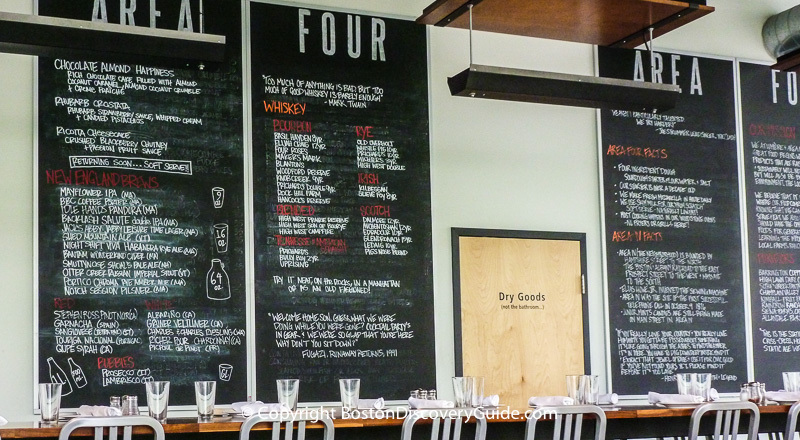 The chef changes the menu fairly frequently, based on what's fresh, what's good, and what inspires him. 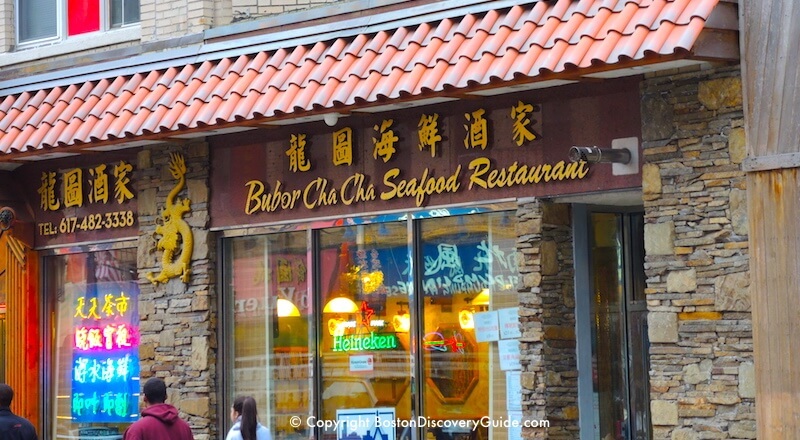 Bubor Cha Cha's decor - a fun South Pacific theme with fluffy white clouds scattered across the blue ceiling - gives you an immediate clue about this restaurant's specialties: Southern Chinese cuisine, with an emphasis on Cantonese, Hong Kong, and Hainanese dishes. You'll see plenty of familiar items such as kung pao chicken and pork lo mein, plus you can order dim sum dishes throughout the day. However, if you want to be adventurous, try one of the frog dishes, the delicate Hainan chicken, sautéed lotus root, sizzling beef rib with black pepper sauce, or the tasty eel with garlic. And don't miss the very fresh seafood, swimming around in a tank until the moment you order it - and always one of the best reasons to dine in Chinatown. Choose what you'd like from a selection of fish and shellfish, including shrimp and lobster. The menu lists several preparation styles, but if you don't see exactly what you want - let's say you'd like your flounder served with garlic and ginger sauce - just ask. Serene decor with traditional Chinese prints on the walls, a couple of big screens in the bar area, and comfortable seating with tables slightly farther apart than is the norm in many Chinatown restaurants make East Ocean City an appealing spot to relax with friends and enjoy the traditional Cantonese and Szechuan specialties. You'll see a few tanks with live fish and lobsters when you come through the door, but in the kitchen are the really huge tanks, temporary home to approximately 600 pounds of live seafood a day. This is the place to try steamed scallops in the shell with ginger and scallions, a clam hot pot, Chinese sausage and scallops fried rice, and barbecued spareribs. If you don't see exactly what you want, let your waiter know ... chances are good that the kitchen can produce it. Portions at dinner are huge, and meant to be shared. Plan to take home leftovers - or order less than one plate per person. 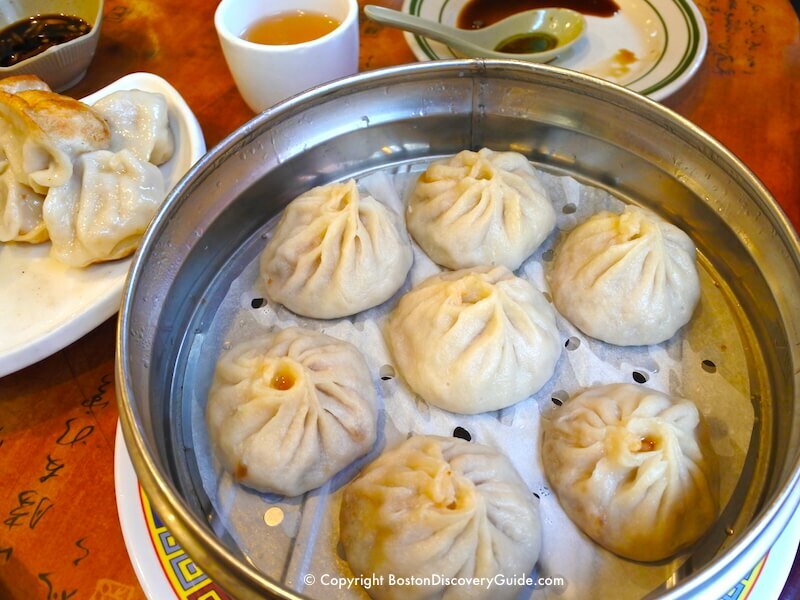 Like most Chinatown restaurants, prices will not flatten your wallet. Unless you get carried away and load up on lobster and duck, your check for dinner (without drinks or tip) will likely be well under $20/person; at lunch, below $10. You'll almost always have to stand in line for a table at Gourmet Dumpling House - but if you want to dine on their intensely flavor soup dumplings, or xiao long bao (listed on the menu as "mini juicy dumplings") and other Taiwanese-style specialties such as sautéed mustard greens with edamame and tofu, chicken corn soup, pan-fried pork buns, eggplant with pork, fried peanuts, and sizzling baby beef ribs, you won't mind the wait. 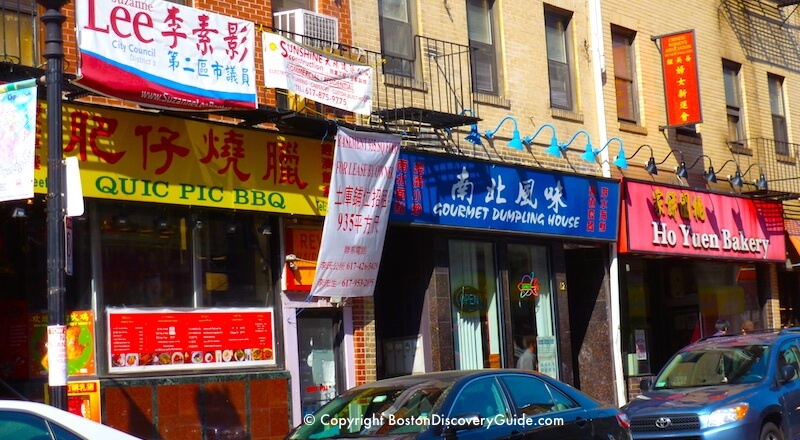 Gourmet Dumpling House is a no-frills restaurant, with tables crammed together in a small space. You may sometimes be seated with strangers, which can actually be a lot of fun, especially when everyone tastes each other's food. 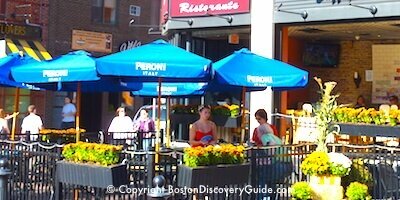 If you drive: The easiest place to park is in the garage under Boston Common, just 2-4 blocks from these restaurants. The 660 Washington Street Garage is also reasonably convenient. 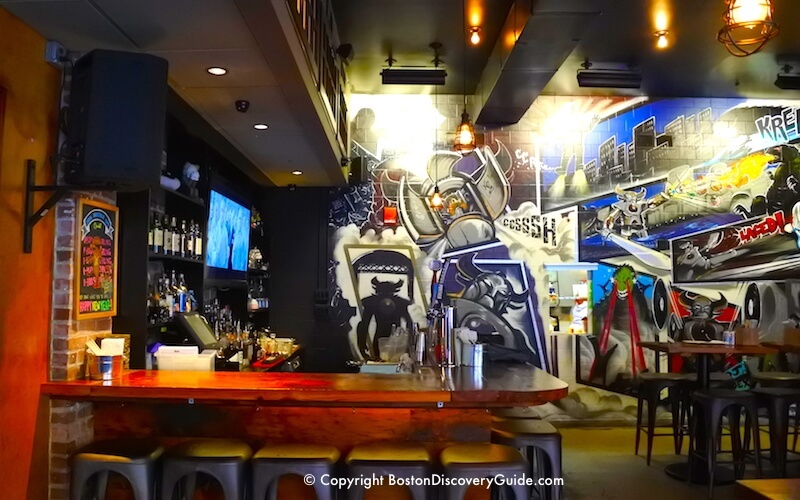 It costs a few dollars more than the Boston Common Garage, but Q Restaurant (located next door) gives you up to 3 hours of validated parking for $7 - a great deal! Although there are other garages in Chinatown, the narrow and congested streets can cause them to be difficult to access.